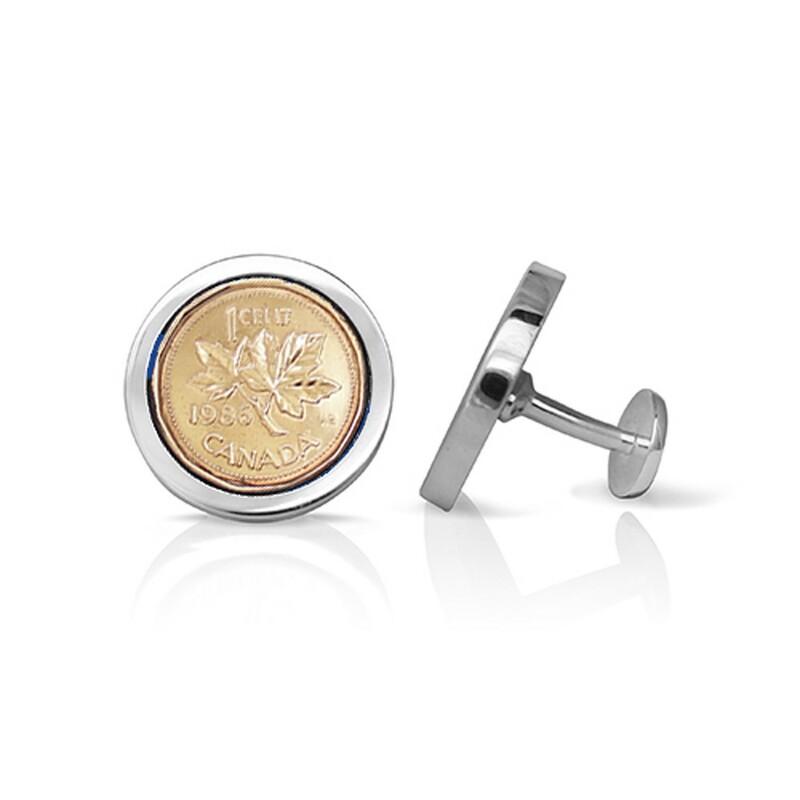 Discontinued by the Canadian Mint, the penny is still available at Studio1098. 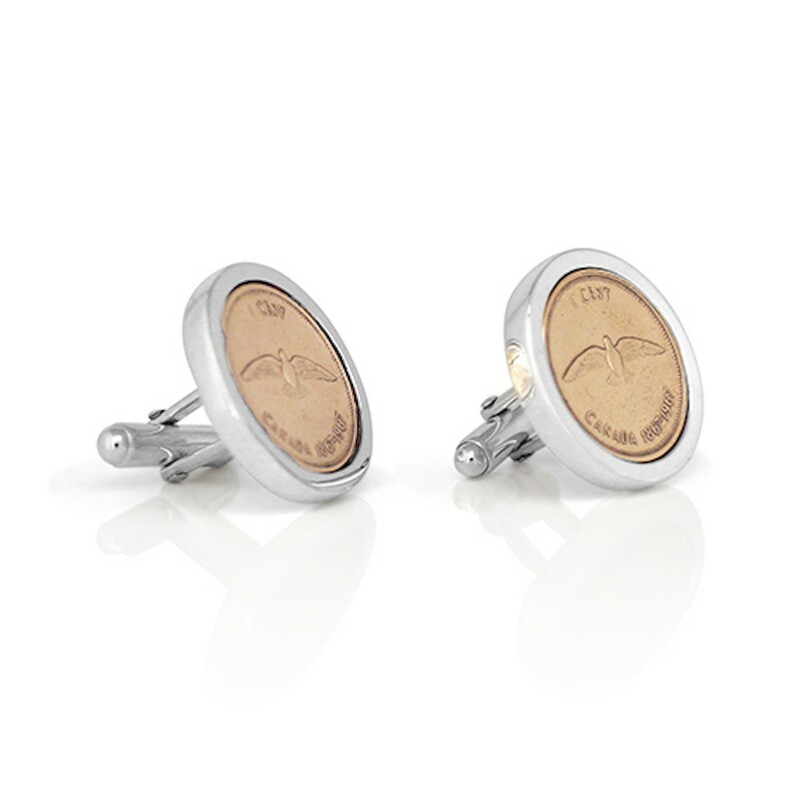 These handmade sterling silver cufflinks incorporate a real Canadian penny! Custom years are available from 1940 to 2012 (we have some years in the 1930's too!). 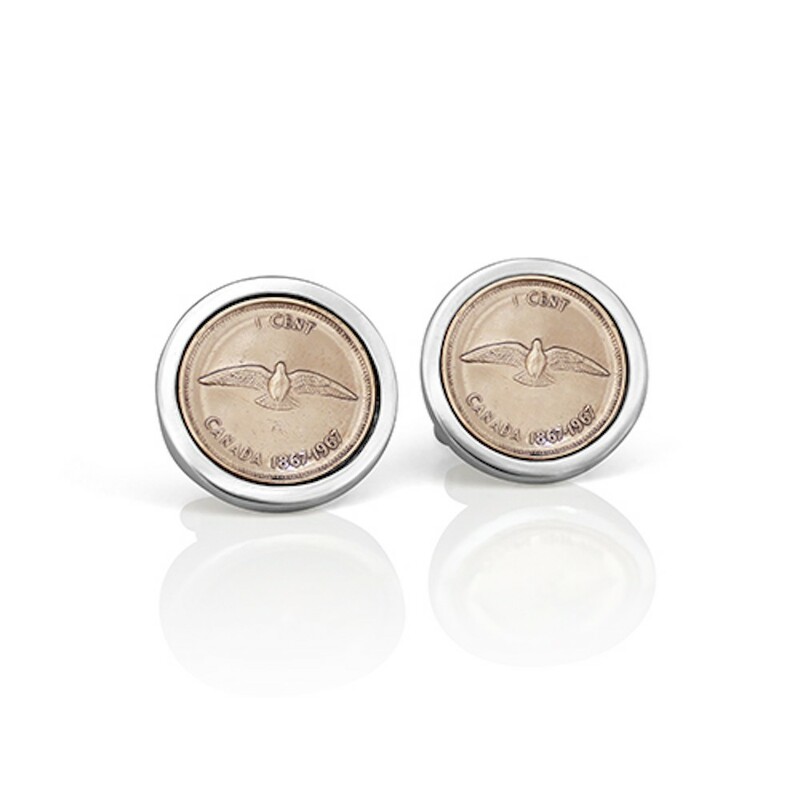 We can make these cufflinks with "Torpedo" backs (the findings that toggle back and forth) or with a solid back (the kind you shove through your shirt). If you aren't sure which one to choose, the Torpedo backs are the more popular ones. 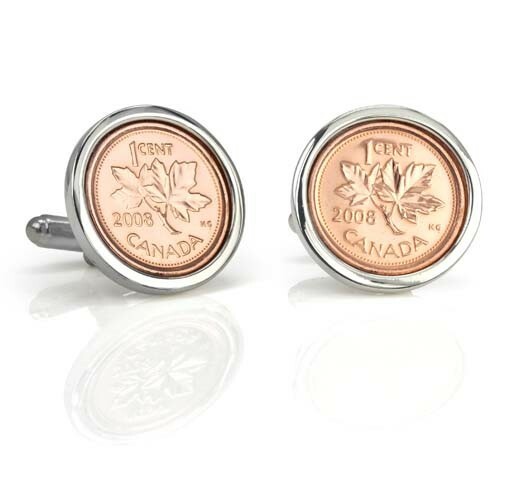 If you do not specify any years (or if you enter a date after 2012), we will make your cufflinks with 2012 pennies.